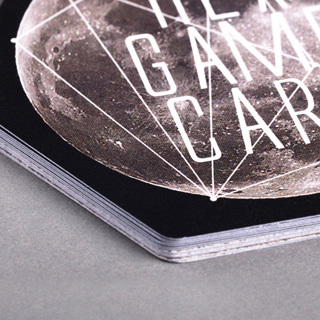 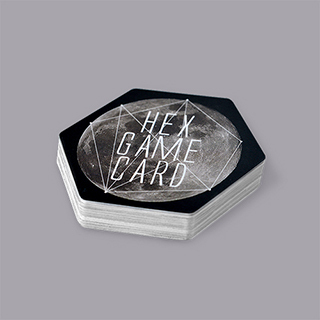 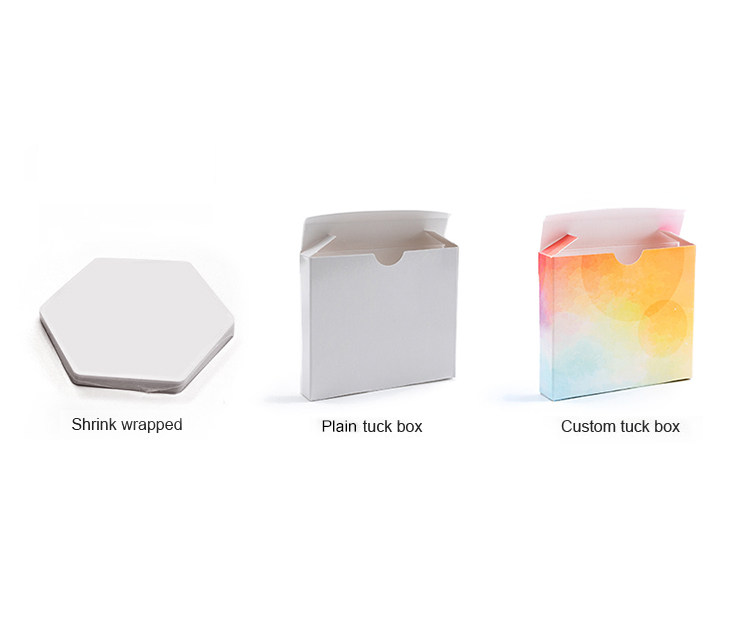 Dimensions: 83mm x 95mm, 3.25" x 3.75"
Custom hex game cards are a popular choice for our game designer clients. 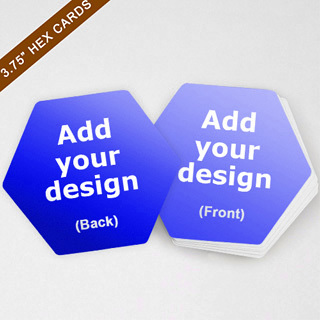 Perfect for dynamic board game play where hexagonal shaped cards are placed down and can be fitted together. 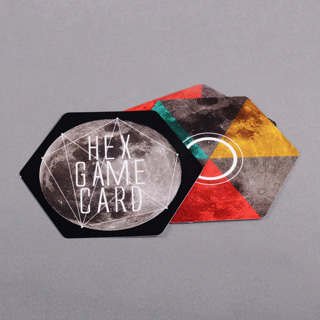 Our hex cards are standard sized as used in the table top gaming industry and are a popular custom choice here are BoardGamesMaker.com.